The knee is the body’s largest joint. It’s the place where three bones meet: the tibia, the femur and the patella. The knee is a “hinge” joint. It allows the leg to bend in one direction only. The knees must support your body’s weight as you stand, walk, run and jump. Because they bear such a heavy load, the knees are vulnerable to injury and to osteoarthritis. 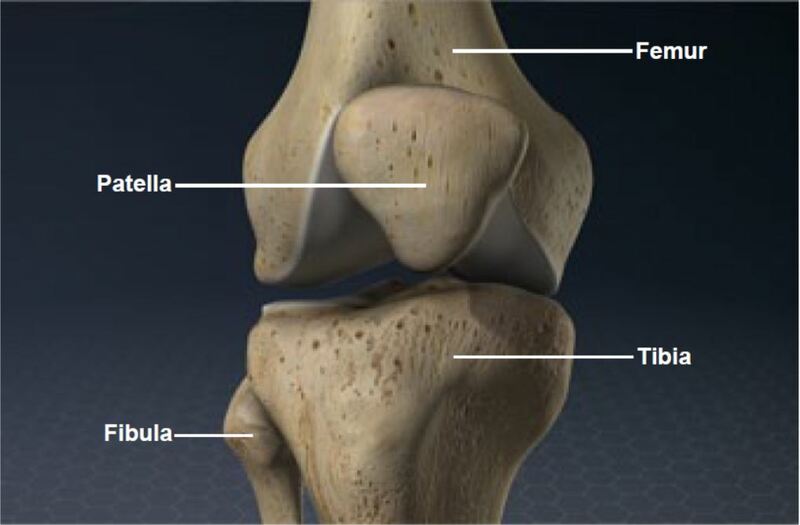 The base of the knee is formed by the tibia. This bone, also called the “shinbone,” is the large bone of the lower leg. The smaller bone of the lower leg, called the “fibula,” connects to the tibia just below the knee. It is not part of the joint. Above this is the femur, which is also known as the “thighbone.” This is the longest, largest and heaviest bone of the body. The patella, commonly called the “kneecap,” covers and protects the front of the knee joint. 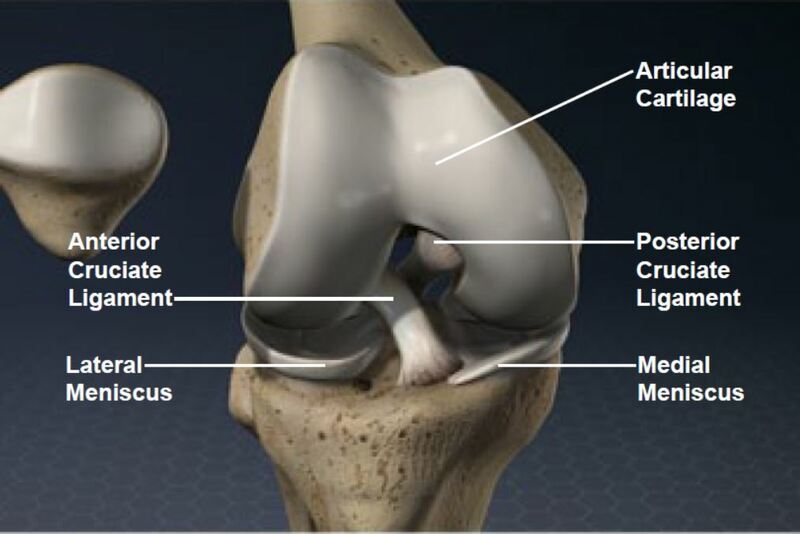 Within the knee, the surfaces of the bones are covered with a layer of articular cartilage. This tough, smooth tissue protects the bones. It allows them to glide smoothly as the knee flexes and extends. The tibia and the femur are connected to each other by a pair of strong bands of tissue called “cruciate ligaments.” The anterior cruciate ligament is commonly called the “ACL.” The posterior cruciate ligament is commonly called the “PCL.” These ligaments cross each other like an X in the center of the knee. 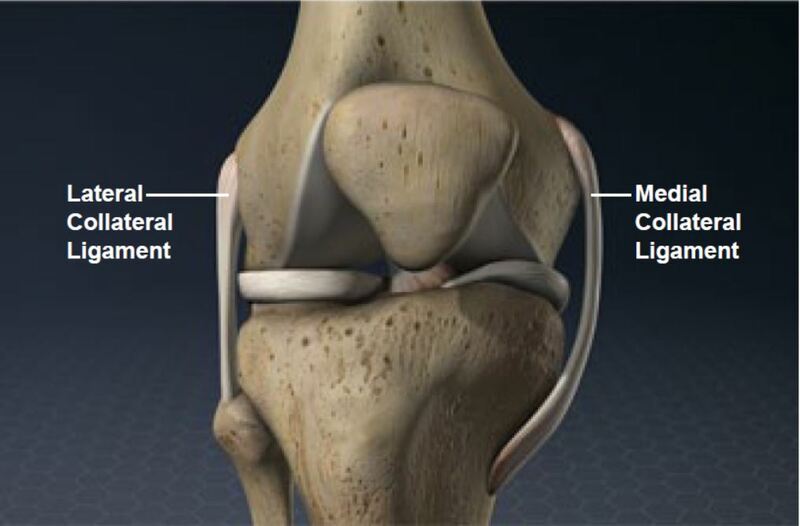 The ACL keeps the tibia from slipping forward, and the PCL keeps it from slipping backward. These ligaments also limit the knee’s rotation. Another set of ligaments, called the “collateral ligaments,” are found on the sides of the joint. They minimize side-to-side movement and help stabilize the knee. 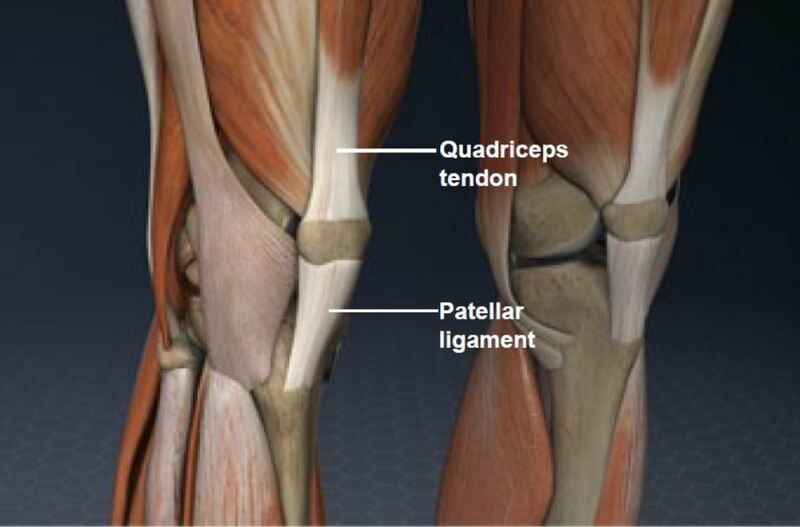 The patella is secured in place at the front of the knee by the quadriceps tendon and the patellar ligament. These connect to the upper and lower portion of the patella. They allow the patella to move as the knee flexes and extends.